Can it make you sick? Simply applying any old sunscreen doesn't always provide you with the best sun protection. How healthy it may be and whether or not it can make you sick actually makes for very interesting conversation as well as incredible research. More than ever before, people all over the world are choosing to use sun protection to stop sunburn and guard against skin cancer. Through knowledge provided in this information age of ours, preference is predominantly for high SPF rated, broad spectrum protection for both UVA and UVB radiation and optionally some water-resistance. Like many other things in life today, most people will view the information supplied at face value and trust all the claims being made ensuring health and wellness protection. "Slip, Slop, Slap" has been a great slogan for an excellent awareness campaign for how important sun protection is, but we need to be a little more savvy about what the labels are proclaiming. Sunscreens are just the tip of the iceberg when it comes to ways that the chemical industry plus various governments' legislation, are failing to protect public health. However, policing all the legislation required is an impossible task, so the more informed and personally responsible we become, the better off we are. An extensive body of global scientific literature over the years demonstrates that almost everyone today carries vast amounts of industrial chemicals in their body. This is as a result of exposure to contaminants in air, water, and food, plus ingredients in the products we consume daily. Do you think when you are outside and you lather those creams and lotions on that you are safe? You don't need a sunburn to suffer the effects of skin cancer, but it certainly helps! Many products tend to do a good job protecting us from the UVB rays, which are the ones that will give you that sunburn. But then there are the UVA rays, which are far worse in that they soak deeper into your skin layers, causing a deeper level damage which can result in skin cancer. So without UVA protection you're really vulnerable. So you see, choosing a sunscreen is really not that simple and certainly not easy to make a healthy choice. Sometimes it can even make you sick. 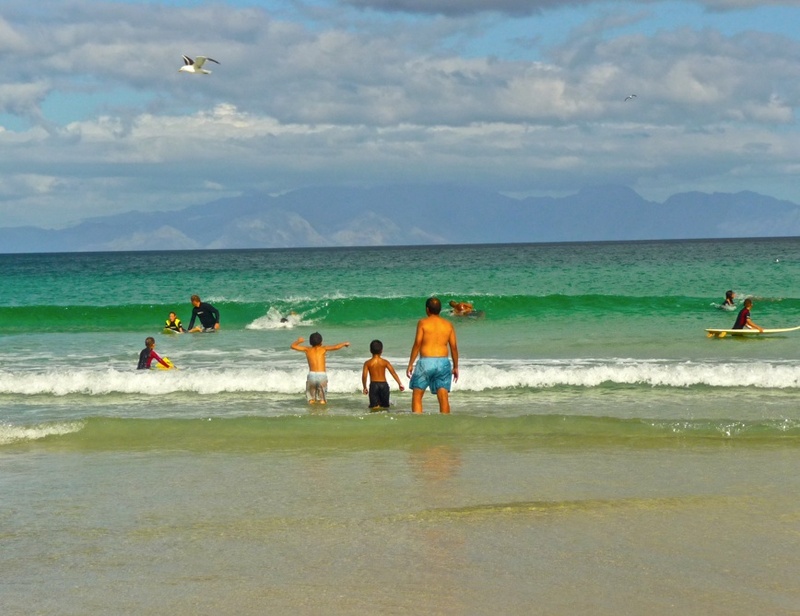 How to choose a healthy, non-toxic sunscreen? The tendency to focus on buying high-SPF products, assumes maximum sun protection, which is a dangerous assumption. Although high SPF ("Sun Protection Factor") products do protect you from sunburn caused by the sun's ultraviolet B (UVB) radiation, they don't necessarily block UVA radiation effectively . UVA rays are longer than UVB rays and so penetrate the skin far deeper. They are linked to skin aging and wrinkling, immune system suppression, as well as skin cancer. 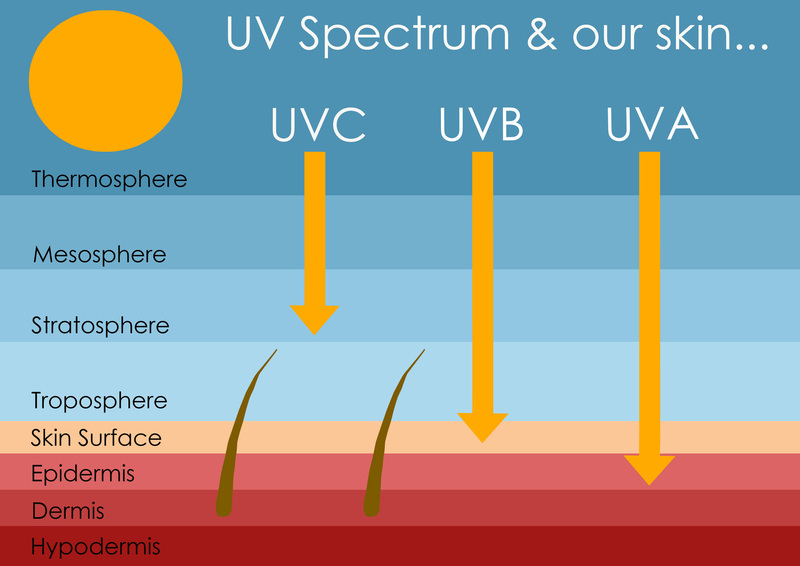 UVB rays are the ones that burn our skin and the SPF provides protection from them, sometimes with really high numbers. Where an SPF of 100 is claimed, this notably never provides a 100% block so can be somewhat deceiving. See the protection curve in the graph here - it never quite reaches 100. In fact the difference between an SPF 30 and an SPF 60 is just 1%. Why are the UVA rays are so bad for us? Even at low-level exposures, UVA radiation breaks down skin collagen, causing skin damage and ageing - most especially those unwanted wrinkles. And research shows us 90% of wrinkles are caused by the sun's UVA light and their sun damage is the Number One cause of premature ageing in both women and men. More scary, is that scientists have established that UVA is linked to immune system problems and is the main culprit behind melanomas because it reaches deep into the underlying support structure of the skin. 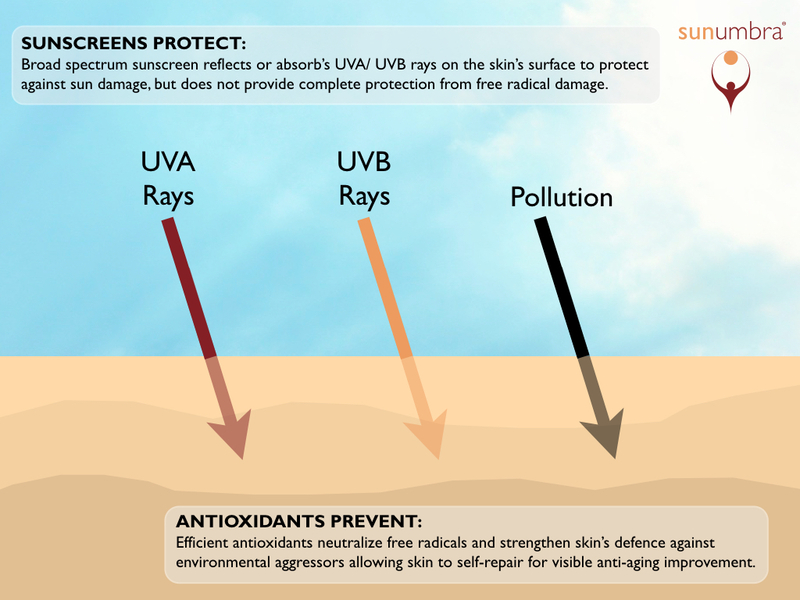 Why is it important to get balanced protection from both UVA and UVB? If you have high protection from UVB and low protection from UVA, you effectively allow the UVB rays a longer time to do their damage. This is because your skin is not telling you to get out of the sun as it is protected from burning. High SPF blocking the UVB rays by default minimizes the VIT D creation abilities in your skin. Good VIT D presence facilitates skin cancer healing properties. So, the ultimate balance seems to be one with just enough SPF to stop you burning but allow some VIT D creation, with the maximum possible UVA protection? Various researchers and reviews of individual product's content have revealed some really alarming aspects. Some have found that they can do more harm than good once they soak into the skin, where some are even carcinogenic in themselves. As far as I am concerned, this defeats the primary reason for wearing any sunscreen in the first place and I am continually amazed at the amount of toxic junk found inside. I would rather wear nothing at all and protect myself by alternate means, like clothing and keeping to the shade. UV rays absorbed by the skin can generate harmful compounds called reactive oxygen species (ROS), which can cause skin cancer and premature aging. Researchers found that once the chemical filters in sunscreen soak into the lower layers of the skin, they react with this UV light to create more damaging ROS. Sunscreens must be stable in the sun. Some active ingredients are more stable than others, but nearly all break down to some extent in the sun. 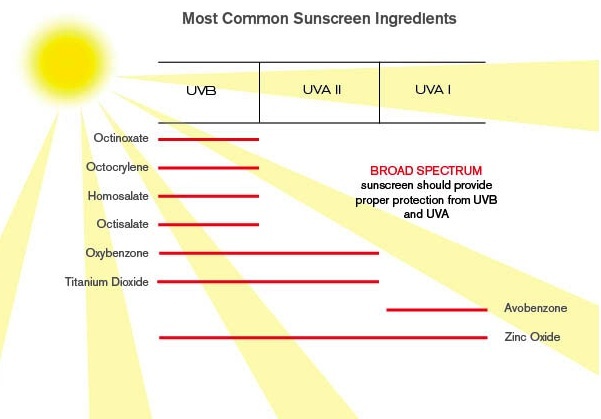 Zinc oxide and titanium dioxide are mineral based sunscreen active ingredients and do not break down in the sun. However, nearly every chemical active ingredient works by first absorbing the sun's energy so it doesn't penetrate our skin any deeper, and then releases the captured energy by breaking apart, reacting with other chemicals in the sunscreen, or in some cases kicking off free radicals. Recent ISO, EU and FDA legislation requires that manufacturers produce stable products as well as Broad Spectrum protection. This has generated a notable shift to using either zinc oxide and/or titanium dioxide in sunscreen formulations. Sun savvy users are increasingly looking for these ingredients for best protection. Antioxidants: berries, 'superfoods' and yummy fresh produce eaten on a regular basis, which contain natural antioxidants, are utilised by your skin to protect you from excessive ultraviolet ray exposure. Studies have also shown that by putting them directly onto your skin protects your skin, keeping it smooth and healthy-looking, but more importantly, boosting the natural healing capabilities of your skin from the inside out. According to Dr. Hanson, products with a sun protection factor can block a certain amount of the sun's ultraviolet (UV) light, while the rest of the light hits the skin and can create free radicals, which when unchecked, will distort or destroy cell membranes. The free radicals also damage DNA, can cause age spots, and compromise our immunity, resulting in skin cancers. While most sunscreens can't protect you against these free radicals, Dr. Hanson has found that antioxidants applied to the skin can reduce the free radicals that may have been generated. When she studied how vitamin C worked, she found that "vitamin C was by far the best [free radical] quencher." The enzymes in your skin work with vitamin C to fight these free radicals. However, I have found that there are many other natural ingredients used in skin products that are claimed to be as powerful or, in some interesting cases, far more powerful than Vitamin C.
So How Does Sunscreen Work? The basics behind most sun protection products involve absorbing, reflecting, or scattering the sun's rays in combinations of organic and/or inorganic active ingredients. Inorganic active ingredients are natural minerals like zinc oxide or titanium oxide. They provide protection by reflecting or scattering both the UVA and UVB rays. Organic active ingredients are chemicals such as octyl methoxycinnamate (OMC) or oxybenzone, which absorb the UV rays, dissipating them as heat. 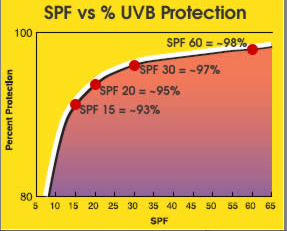 Most provide effective protection from UVB rays but not UVA rays at all. In many cases these will last a lot longer in our bodies' systems than the active sunscreen ingredients, which typically require re-application to be effective. Sunscreens do not provide complete, as in 100%, protection from the sun's UV rays. Even if the SPF says 100! Many, or most, people use their lotions or creams ineffectively simply by not applying enough, or covering enough. In many cases, people will apply only 25% to 50% of the recommended amount. Ideally, they should be applied liberally enough to all sun-exposed skin, so that it forms a film when initially applied. Including the nose, ears, neck, hands, scalp and feet, which are regularly forgotten and the worst hit. Chemical based: These take 20-30 minutes before they are absorbed sufficiently by the skin. This means applying at least half an hour before going out in the sun and of course many of us only remember when the sun starts to burn! Ideally the chemical-based ones are applied before moisturisers or such, but the mineral-based ones applied last so that it stays on top of the skin. Most application instructions will recommend reapplying "frequently", where the definition of "frequently" is vague. A common instruction is to reapply after 2 hours in the sun. However, one study has shown that reapplying 20 to 30 minutes after being in the sun is more effective than waiting 2 hours. It is possible that this time period is more effective because most people do not apply enough initially, and this second application approximates the actual amount needed. Sunscreen can also be washed off, rubbed off or sweated off. In these cases, it requires more frequent reapplication, but this will also depend on how water resistant it is. Ideally, if outdoors in any way, it should be applied daily. The daily use of a low SPF sunscreen (15) has been shown to be more effective in preventing skin damage than only using a higher SPF now and again. Do you have a story or an experience or even a question about the benefits and dangers or other issues relating to sunscreen and sun exposure? Then please share it here! Enter Your Title (ex: "I don't trust chemical sunscreens"
What can I do if I am allergic to sunscreen? Nutricosmetic industry expanding in the USA?